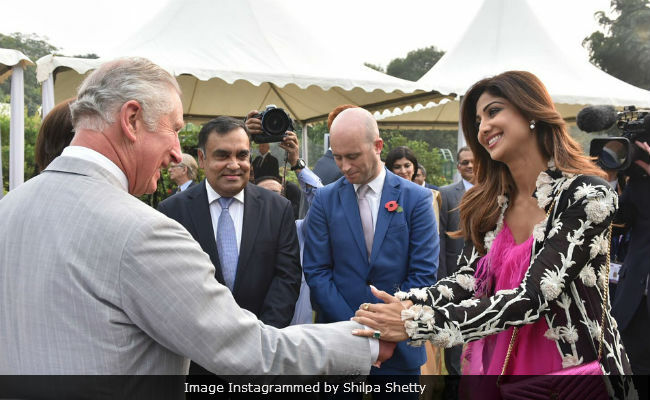 Actress Shilpa Shetty Kundra had a 'wonderful' evening with Prince Charles and his wife Duchess Camilla Parker Bowles in New Delhi yesterday. Being associated with the British Asian Trust, Shilpa Shetty was in attendance at the event and was seen bonding with the Prince and the Duchess at British High Commission. It is not unknown that Shilpa is a fitness enthusiast and her yoga videos are truly inspiring. She appreciated the Prince's love for yoga. Shilpa posted a picture with the Prince of Wales and the Duchess of Cornwall and also shared her heartwarming experience on social media. "Wonderful to see The Prince of Wales and The Duchess of Cornwall in New Delhi last evening. Appreciate his love for India, Yoga and all the charity work he does here," Shilpa captioned the picture. It seems Shilpa really had a 'happy' evening as she also posted a cute short clip where she's enjoying the wind completely. Prince Charles' India's visit is a part of the Commonwealth nations tour. 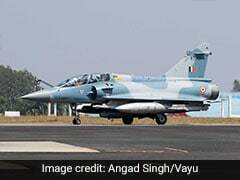 During his trip to India, he met prime minister Narendra Modi apart from visiting Amar Jawan Jyoti. On the work front, Shilpa currently co-judges dance reality show Super Dancer 2 and has previously featured as a judge on Jhalak Dikhhla Jaa. Shilpa Shetty is the star of films such as Baazigar, Dhadkan, Life In A... Metro and Apne. She has now been known as a yoga expert and also has a range of yoga fitness videos. Shilpa married businessman Raj Kundra in 2009. Son Viaan was born to the couple in 2012.